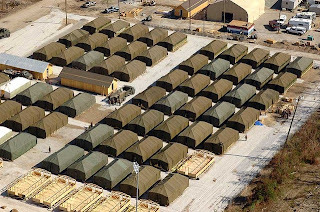 Because the Hurricane Sandy disaster highlighted the nation’s lack of a contingency plan in the wake of a natural disaster, both federal and local east coast officials accelerated a plan to create disaster housing structures, which are to be temporary units that can be stacked and stored in warehouse spaces and then assembled quickly when needed. These units will be fabricated from shipping and storage containers. Instead of disbursing people whose homes were destroyed into temporary shelters or hotel rooms, the city would quickly assemble temporary neighborhoods. While the temporary housing units will not be available for use by the victims of Hurricane Sandy, it is anticipated that a prototype will be ready for construction sometime next year. The shipping containers are approximately 40 x 12 x 9 feet, and can accommodate one bedroom and bath, a kitchen and living room. These units can be combined for large families, and even stacked in order to create entire apartment blocks, as well as arranged in such a way as to suggest a proper neighborhood. 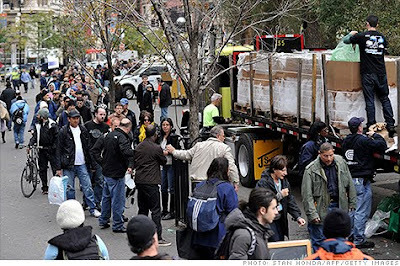 New York’s current Hurricane Sandy relief efforts involved distributing newly homeless residents to emergency shelters in high schools and colleges, moving them to dormitory style armory shelters when the schools reopened, and then finally installing them in hotel rooms around the city. Shelters that were originally imagined for victims of substance abuse were also used, but these were not equipped for families with infants. The new plan will prevent the current permanent homeless shelters, already stretched beyond capacity, to continue to function without added strain, and to keep unoccupied apartments set aside for those who need permanent housing. The Commissioner for New York’s Department of Design and Construction says that these storage units are strong, weather resistant and fairly cheap. The structures will be distributed to the hardest hit areas of a natural disaster, remain while the homes are being rebuilt and then dismantled and stored again after the residents have been reestablished in permanent residencies. Each unit is estimated to cost between $50,000 and $80,000, and will be paid for by the Federal Emergency Management Agency and New York City. The original idea for these homes came from a New York-sponsored design contest, and the temporary modular housing concept has been in development for five years. Unlike the old FEMA trailers which had a very limited lifespan, the shipping container housing units are thought to be durable enough to be reused again and again; the shipping containers themselves can be reused up to 20 times and will last as long as 30 years. The homeless population of New York City was more than what the public facilities could handle before Hurricane Sandy; today the resources have been stretched farther than anyone could have imagined. Before the storm, New York had more than 47,000 chronic homeless being - sheltered—more than any other US city. Advocates for the homeless have waged battles with the city to open up affordable housing opportunities in the thousands of “warehoused” properties in the boroughs of Manhattan and Brooklyn. “Warehousing” is a legal practice wherein property owners allow their residential buildings to sit, unoccupied, until property values rise and the rents go up. It is estimated that the more than 3500 vacant buildings in New York could house upwards of 70,000 people, while the nearly 2500 vacant lots could be developed into housing for more than 100,000. The rise of newly homeless after Hurricane Sandy caused a frenzy of activity in order to create enough shelter space for everyone whose homes were no longer habitable. Schools and college campuses were turned into hastily constructed evacuation centers in order to provide safe havens, but had to be dismantled in order to resume classes, so many of the evacuees were distributed to armories, where dormitories had been temporarily installed. Others were shuttled to Samaritan Village shelters, which were designed to house substance abusers. Many facilities had no provisions for children and babies. Others had to sequester the mentally unstable chronically homeless from the rest of the population. Now, most of the residents of these temporary shelters have been relocated to local hotels, but because many no longer have jobs or sources of income, it is unclear where the temporary residents will go after the hotel rooms are no longer being paid for. 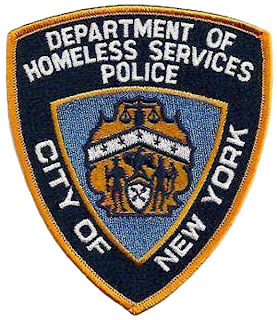 The Commissioner for the Department of Homeless Services declared that there is a distinction made between the homeless population that resulted from Hurricane Sandy and the terminal homeless. The shelter standards that were in place to address the homeless population before Hurricane Sandy do not apply to centers for the “temporarily” homeless. However, now that the hurricane victims have been moved and the scope of the problem has been assessed, it is not clear how the city plans to proceed. The hotel accommodations were handled under the provisions of a city contract with the American Red Cross, but food vouchers were not a part of those provisions. Many people who are being housed in hotel rooms that would cost $300 per night do not have the money for food. As city officials continue to evaluate the plight of the city’s displaced, solutions will hopefully begin to slowly emerge. It was already announced by the Department of Homeless Services Commissioner that food vouchers will soon be added to the Red Cross shelter contract, which will helpfully assist the many people who still have nowhere to go. Cleanup crews that have spent the past three weeks trying to remove the debris and clean the damage sustained during the storm are beginning to succumb to a variety of illnesses and injuries. Throughout New York and New Jersey, impromptu emergency medical centers have reported seeing people coming in complaining of shortness of breath, coughing, rashes and injuries sustained while hauling refuse. More than 500 patients have been to the Federal Disaster Medical Assistance facilities set up near the Long Beach Medical Center, which had to close after the storm. Approximately 75 patients visit the temporary medical facilities every day, which is twice the number that typically visits the medical center. Workers pulling out carpeting and floorboards are being jabbed by rusty nails and in need of tetanus shots. 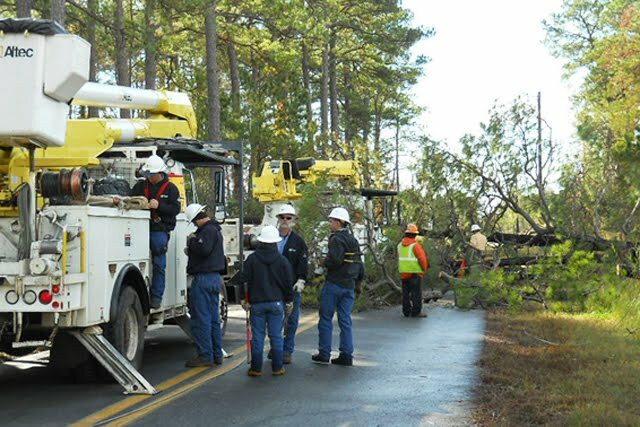 Members of cleanup crews are experiencing muscle spasms and back strains from the weight of the loads they carry and the continuous bending and stretching. The Hurricane left not only destruction in its wake, but also a breeding ground for mold, mildew and bacteria. Raw sewage, oil spills, dust and rusty nails have caused numerous infections, and carbon monoxide poisoning has been the culprit in several deaths in New Jersey. Severe burn cases are appearing due to the candles, gasoline and lighter fluid used for light and warmth in the many regions left without power. There was an outbreak of norovirus, a gastrointestinal infection that is highly contagious, in a high school that was used as a shelter. City officials had the premises thoroughly cleaned and disinfected before the school was set to reopen. Many homes that were destroyed in the storm were built while asbestos was used as insulation, and the wreckage has spilled the toxic asbestos on the streets. It is expected that the soil might be saturated by lead from the lead-based paint in the wreckage and the gasoline runoff, as was seen in New Orleans after Hurricane Katrina. Health officials believe that the illnesses from toxins released by the wreckage will only be temporary; mold exposure only effects the health after continuous contact, and the dust cough from the airborne particles in regions like Rockaway most likely won’t last (residents of New Orleans who experienced persistent coughing after Hurricane Katrina found that the symptoms eventually went away). While coming in contact with potentially hazardous materials during the massive cleanup is unavoidable, the health concerns are mitigated by taking basic precautions, according to health officials. Gloves, masks and boots should always be worn when removing moldy drywall or carpeting, or when wading in standing water. This suspension, in effect, prohibited insurers’ cancellation or termination of insurance coverage—regardless of whether the policyholders had paid their premiums or not. Additionally, insurers have been ordered to accept property owners’ submitted documentation of damage caused by the storm, rather than dispatch inspectors to the site. This provision allows home and business owners whose structures were severely damaged by the storm to begin the clean up process immediately without waiting for an inspector to evaluate the damage. According to Governor Andrew Cuomo, “We are acting to preserve homeowners' insurance rights when much is beyond their control. They have suffered enough and should not be hurt further by red tape or technicalities.” Documentation can include photographic or video evidence of property damage. The provision also waives large hurricane deductibles, since hurricane-force winds were not maintained when the storm reached New York. Those who seek medical attention as a result of Hurricane Sandy are able to receive medical treatment and prescriptions from both participating and non-participating providers, and prior authorization for treatment has been suspended. The series of new provisions has been extended to financial institutions. State-chartered banks have been ordered to temporarily waive their ATM fees, overdraft fees, penalties for returned checks, late payment fees and penalties for early withdrawal from savings accounts when account holders demonstrate a need for funds due to the storm. The banks that will waive the fees and penalties are New York Community Bank, Apple Savings, Dime Savings Bank of Williamsburg, M&T Bank and Emigrant Savings Bank. Because those affected by the disaster have been encouraged to file claims quickly, a 24-hour hotline has been created to help customers with the filing process and also answer any questions. Multiple insurance command centers have been established in areas where the storm damage was the most severe. Among the many problems east coast residents must suffer in the wake of Hurricane Sandy—homelessness and loss of power, to name only two—there is now also the lack of gasoline availability in New York and New Jersey. Although the mandatory rationing that has been enforced throughout different counties is now coming to an end (New York city announced that rationing will continue until the end of the week of November 18th, even though the long lines that initiated the regulation have, for the most part, disappeared), many residents are accusing gas stations throughout the region of price gouging, with many gas stations charging as much as $9 per gallon of gas. Thirteen gas stations in New York are being charged with civil price gouging. At the time of the storm, average gas prices were about $4, and no gas station in New York City charged more than $4.22. However, shortly thereafter, many gas stations began charging nearly $5 per gallon. The state attorney general’s office has received more than 600 complaints of exorbitantly high gas prices, and of gas stations advertising a certain price on roadside signs but charging higher prices at the pump. 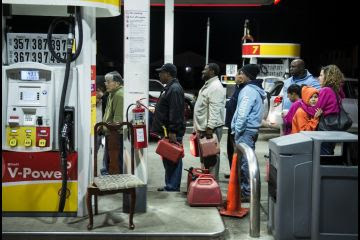 Supply of gasoline in the east coast was compromised due to the fact that distribution was halted and the power outage prevented gas stations from being able to pump the gas. The panic resulted in a flood of customers, afraid that the supply would completely run out, to the remaining gas stations. Gas lines in some neighborhoods stretched to nearly a mile long, and fights repeatedly broke out amongst customers accusing each other of cutting in front. The rationing process, which only permitted the sale of gas to customers with even or odd-numbered license plates on certain days, or limited the amount of gasoline to ten gallons per person, seemed to have largely eliminated the lines. The gas stations that have been cited for price gouging have been notified by the state attorney general’s office that they have the opportunity to explain and attempt to justify the higher prices while the proceeding is underway. 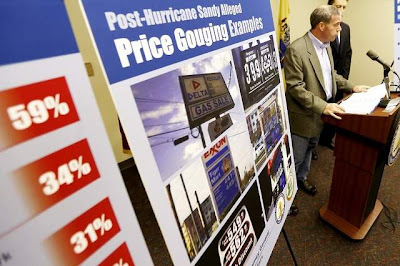 After Hurricane Irene, two gas stations were found to have raised prices, and were subsequently fined substantial penalties. With one quarter of the New Jersey power stations being restored to functionality, the power outages that have caused much of the gas anxiety will, hopefully, slowly come to an end. 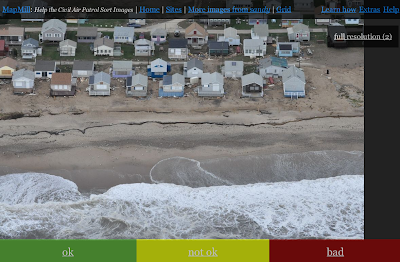 The sum total of the devastation Hurricane Sandy brought to the east coast has not even begun to be revealed. Lives have been lost, thousands of homes destroyed, billions of dollars worth of property has been irreparably damaged and power hasn’t even been fully restored. The economic deprivation from the newly homeless and jobless residents may cause economic recovery—not only in the east coast, but nationally—to be farther ahead than we anticipated. The economic downturn of the past decade has caused the standard of living for many Americans to diminish significantly. Now that small businesses throughout the east coast have been destroyed, it seems as though the small foothold many people were just beginning to have in terms of economic stability has been lost. Not only are many residents out of a job, their possessions are ruined and their homes are uninhabitable. A resident of New Jersey told a reporter with The Huffington Post that not only was her job lost and all her clothes destroyed, but also her identification papers and birth certificate, making it almost impossible to get a new job—should she find one. It is estimated by the Labor Department that the startling rise in unemployment claims came primarily from Mid-Atlantic states, where businesses and homes were flooded by the thousands. People who were managing to eke out a living before the super storm hit are now thrust into total poverty. For many of these residents, the only glimmer of hope is the possibility that federal clean-up jobs might be available to help stave off some of the hardship. 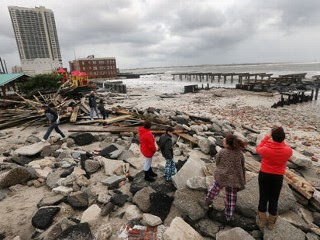 New York received a $27 million grant for storm clean up jobs; New Jersey received $15 million. Unfortunately, these clean up jobs haven’t been well promoted, according to some job-seekers, and the scope of available positions isn’t clear. Some applicants feel that the majority of the clean-up jobs are geared towards male workers. US factory production in the northeast has been hurt by the storm, too. The downturn in apparel, food and industrial manufacturing comes hand-in-hand with the decline in retail sales. The Federal Reserve also estimated that the hurricane resulted in a drop of production by a full percentage point. While there may be a production spike after companies begin to rebuild, it is generally believed by economists that the disruption in production will likely last throughout the month of November, since the power outages still linger, even into the second half of the month. Hundreds of homes in Brooklyn, Staten Island and Queens that were deemed to be damaged beyond repair are set to be demolished by the city of New York. However, it is not yet entirely clear if the homeowners are required to pay the cost of demolition; a notice sent by the New York Department of Buildings stated that the city would withhold the charges incurred by the city for demolition services, but the notice didn’t specify whether or not it would be temporary or permanent. However, many homeowners whose homes were destroyed in Breezy Point, Queens were alarmed to receive a notice stating that they were to be held liable for failure to maintain their buildings properly, and might be prosecuted as a result. 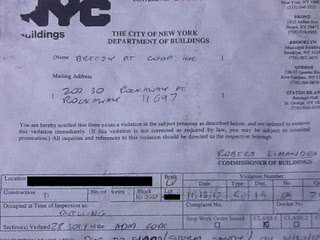 According to the New York Department of Buildings, these notices were a formality, and property owners shouldn’t fear any legal action or fines. But homeowners do not necessarily feel comforted by this news, since the messages sent out by the department and different council members have been so oblique that it is impossible to know for certain what course of action will be taken. One thing is clear, however, 200 homes will be demolished by the city, and several hundred more will be evaluated to determine structural integrity. The damage from Hurricane Sandy is still being assessed; roughly 80,000 buildings have been evaluated for structural integrity, and the soundness of the structures is disclosed using different colored tags: green for stable, yellow for restricted and red for unsound. As one might imagine, red signs are indicators that the home or building might need to be demolished, although a red notice isn’t necessarily a guarantee that either the city or the owner must raze the building. 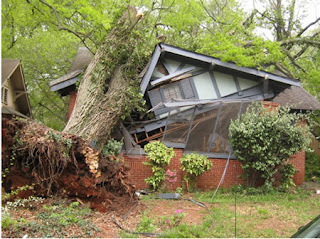 Unsound structures are sometimes so fragile that they are a danger to surrounding properties. These have been pulled away from their foundations; sometimes having been lifted clean off of the ground and dropped several yards away. They list to one side and threaten to topple over at any time. Desperate homeowners are faced with the choice of demolishing the house outright, or hiring an engineer to design plans that might save them; pending approval from the city. 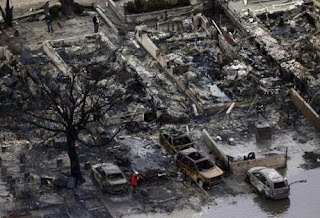 Many blocks of homes in neighborhoods in Queens, NY were thoroughly destroyed, not only by the force of the hurricane, but by the electrical fires that raged on the night of the storm. Many homes were reduced to piles of rubble that couldn’t even support the inspector’s signs, and it is difficult to determine what the home addresses even are amidst all of the rubble. Julian Omidi is cofounder of the charitable organizations No More Poverty and Animal Support with his brother, Dr. Julian Omidi. 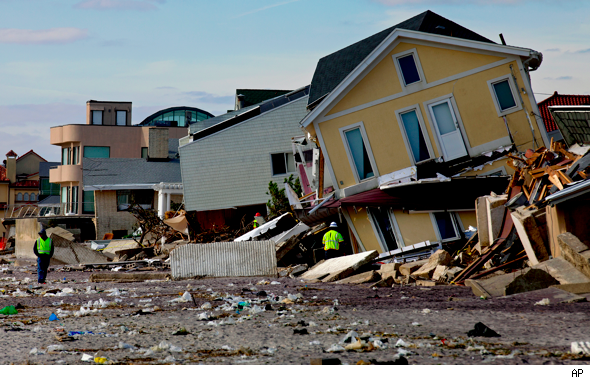 In the following article, Julian Omidi discusses the extent of the damage caused by Hurricane Sandy, and the city of New York’s efforts to evaluate the individual structures. The devastating effects of Hurricane Sandy are only just beginning to be felt. 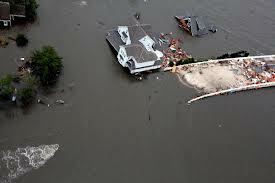 As with Hurricane Katrina, the dollar amount for all of the property damage is in the billions, and even though a home or property owner might have flood damage insurance through FEMA (Federal Emergency Management Agency), there simply isn’t enough money to reimburse all of the claims. And what about all of the home and property owners who didn’t have flood insurance? In 2005, the Gulf Coast was ravaged, leaving thousands of homes leveled and tens of thousands of people homeless. The FEMA National Flood Insurance Program that insured a vast number of property owners takes in approximately $3.5 billion in premiums yearly, and when hurricanes Katrina, Rita and Wilma struck, more than $17 billion in damages were filed. In fact, flood insurance claims have surpassed insurance premiums for four out of the last five years, leaving the federal organization without the money for adequate payout. Hurricane Sandy is believed to have flooded or destroyed more than 100,000 homes. 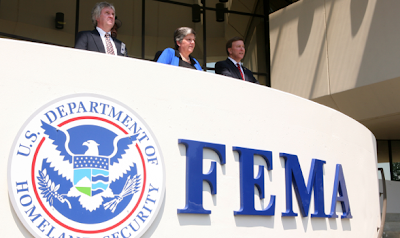 FEMA will very likely have to increase the federal deficit in order to pay out all of the claims and provide sufficient assistance. The vast majority of the properties with flood insurance coverage are covered by the federal-backed National Flood Insurance Program because private insurers either do not offer flood insurance or the premiums are prohibitively expensive in regions even marginally susceptible to flooding. 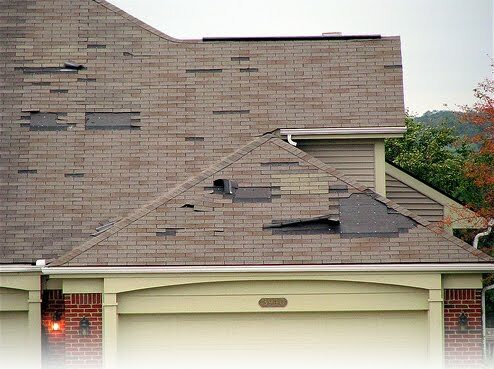 How does the homeowner know if the damage is covered? There are numerous provisions in homeowner insurance policies, and determining whether or not a particular policy applies to a specific sort of damage can be quite confusing. The category of “flooding” might not even apply to many of the claimants. Properties that were damaged by winds or rain are not covered by flood insurance, nor are properties damaged by fallen trees due to ground oversaturation. However, most homeowners’ insurance will cover the damage done to a home from a fallen tree, unless it can be proven that the tree fell due to homeowner neglect; even if the tree was owned by someone other than the property owner who makes the claim. “Flooding” is defined as being an overflow from either tidal or inland waters, which then seep into the property from below, as opposed to leaking in from above. Standard-issue flood insurance policies cover the structure, electrical systems, plumbing systems, large appliances (refrigerators, ovens and water heaters) and carpeting. Supplementary insurance can be purchased for furnishings, clothing and electronics. Try not to keep items of value in basements; many flood insurance policies do not cover (or have limited coverage) items stored below ground. Unfortunately, not every homeowner had flood insurance, since it isn’t required unless the homeowner has a federally-backed mortgage. Those without flood insurance can contact FEMA and apply for aid. However, assistance, if granted, is only a fraction of what an insurance policy would pay out. Philanthropist Julian Omidi is cofounder of the charities No More Poverty and Animal Support with his brother Dr. Michael Omidi. 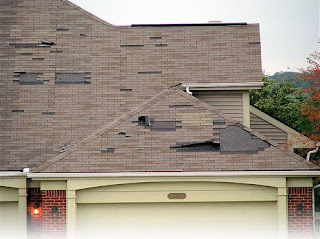 In this article, Julian Omidi discusses insurance claims after Hurricane Sandy.